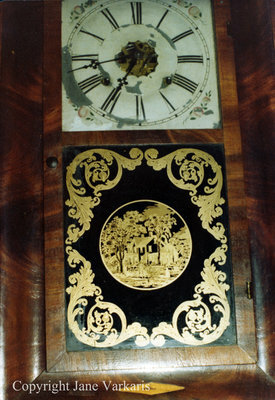 A colour photograph of a clock hanging in the Whitby Museum. This clock was made by the Canada Clock Company in Whitby, Ontario. Canada Clock Factory Label, c.1980s, Jane Varkaris. Whitby Archives A2014_015_004.